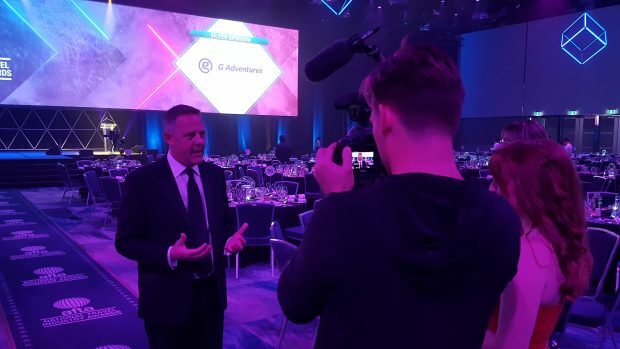 The 2018 AFTA National Travel Industry Awards was held on Saturday the 21st of July at Sydney’s International Convention Centre with over 1400 attendees at the premier awards night making it the biggest to date. 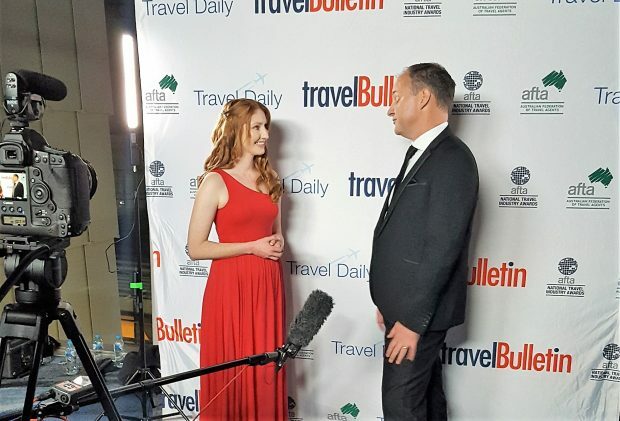 Travel Daily and travelBulletin are the official media sponsors which provide an opportunity to collaborate with the AFTA team in the lead up to the awards, on the night itself and afterwards to provide the most comprehensive coverage to the travel trade. Here are some behind the scenes photos that are from the making of the official highlights video that is now available for viewing. Click here to see the video. 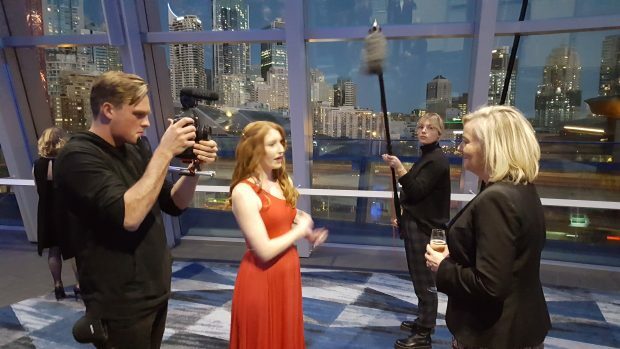 Filming Christian Hunter ceo Travellers Choice. Melanie Waters-Ryan coo Flight Centre. Jayson Westbury ceo of AFTA. 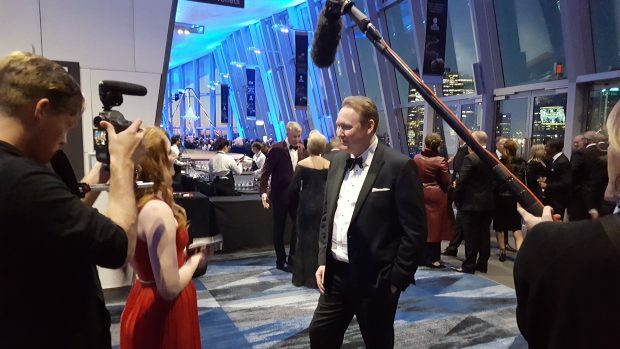 Backstage interview with Laura Ruffles coo of Corporate Travel Management shortly after winning the award for Best National Travel Management Company. With David Padman head of associates for Helloworld Travel accepting the award for Best Non Branded Travel Agency Group. Laying down the voice over for the highlights video is Jo Arancibia (nee Tralaggan) head of marketing at AFTA. 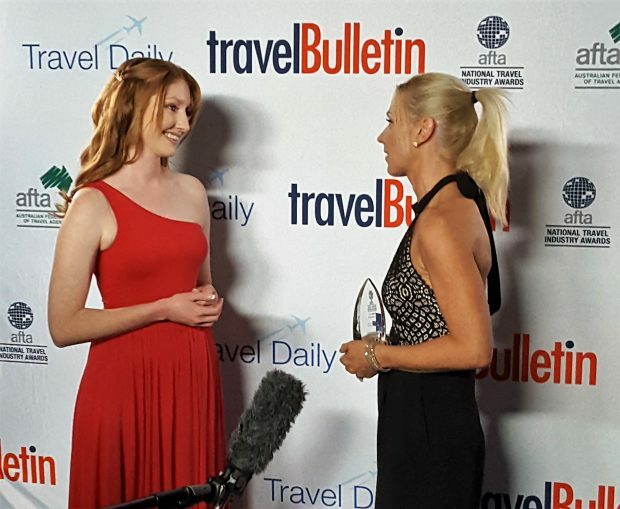 To read the exclusive interviews with many of the winners, read the special edition of travelBulletin here.